2015-07-31 2015-07-31 thesustainableinvestor5 Comments on The Next Frontier of Customer Service: Drones. The Next Frontier of Customer Service: Drones. In the long run, if you take care of customers, that is taking care of shareholders. We do price elasticity studies. And every time the math tells us to raise prices. But doing so would erode trust. And that erosion of trust would cost us much more in the long term. – Jeff Bezos, CEO and Founder of Amazon. Somewhat paradoxically, Amazon has operated near break-even profitability since its origin in 1994, yet the company has grown to $89 billion in revenue (as of EOY 2014). 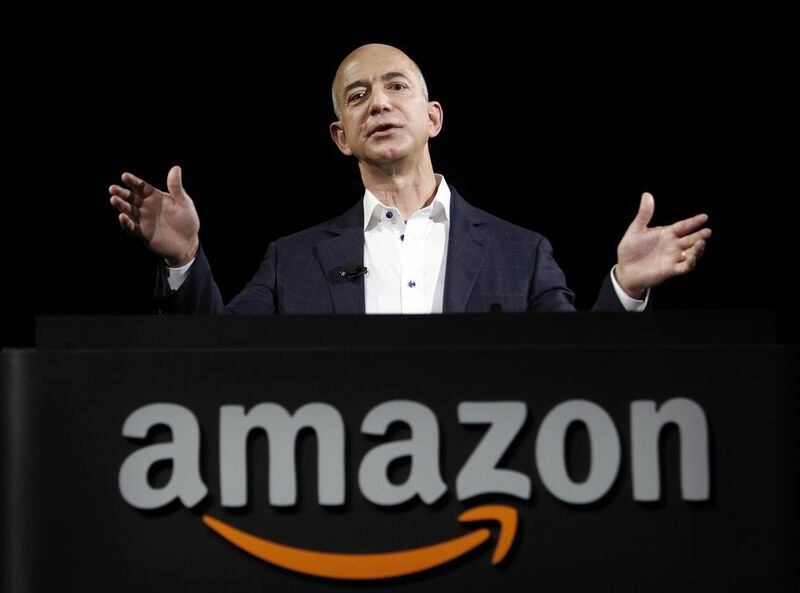 Brainchild of billionaire Jeff Bezos, Amazon rapidly became a low-cost, high-volume producer, establishing barriers to entry by essentially foregoing profits. Interestingly, Amazon has managed to grow independent of outside capital. Echoing the teachings of renowned strategist and HBS Professor, Michael Porter, if the low-cost producer is not required to display a profit, said producer holds an insurmountable competitive advantage. Amazon pays its suppliers in 75 days, but turns inventory 12 times a year. In other words, the company receives cash approximately every 30 days, an entire 45 days before paying suppliers. Consequently, Amazon is generating cash flow even while unprofitable. In fact, the more Amazon sells, the greater the free cash flow. As a result of Amazon’s steadfast focus on customer satisfaction and providing the low-cost solution, Amazon has literally changed the world: altering the manner in which we read, shop, and compute. When you invent something new, if customers come to the party, its disruptive to the old way. – Jeff Bezos. Since 1994, Amazon has faced no shortage of innovation. But in November of 2013, Jeff Bezos outdid himself. In November of 2013, Bezos allowed 60 Minutes access into a secret R&D room at Amazon’s headquarters, revealing to the world the company’s latest and greatest. Prime Air: Delivery Via Drones. If you are pondering about the feasibility of such a delivery method, watch this one minute video produced by Amazon, portraying a prototype. The drones, as told by Bezos, would be capable of delivering packages less than five pounds in weight, accounting for approximately 86% of Amazon’s total deliveries. Moreover, the drones would be able to transport a package from fulfillment center to doorstep in less than 30 minutes. At the time of announcement, Bezos estimated Prime Air would commercialize in the next four-five years. Drones are often electric and, thus, the sustainable advantage, or value proposition, of a drone versus a delivery truck is a massive reduction in both fuel emitted and time wasted. Autonomous drones go one step further as to eradicate the human element. Yet, as you might imagine, drones come riddled with hurdles. On July 9th, 2014, Amazon sent a petition to Michael P. Huerta of the Federal Aviation Administration (FAA), requesting permission to test their drones outdoors. Current FAA rules allow hobbyists and manufacturers of model aircraft wide latitude in flying their sUAS outdoors. Because Amazon is a commercial enterprise we have been limited to conducting R&D flights indoors or in other countries. Of course, Amazon would prefer to keep the focus, jobs, and investment of this important research and development initiative in the United States by conducting private research and development operations outdoors near Seattle – where our next generation R&D lab and distinguished team of engineers, scientists and aeronautical professionals are located. In order to allow outdoor R&D testing for Prime Air in the United States, we are submitting this petition for exemption pursuant to Section 333 of the FAA Modernization and Reform Act of 2012. View Amazon’s petition in its entirety here. 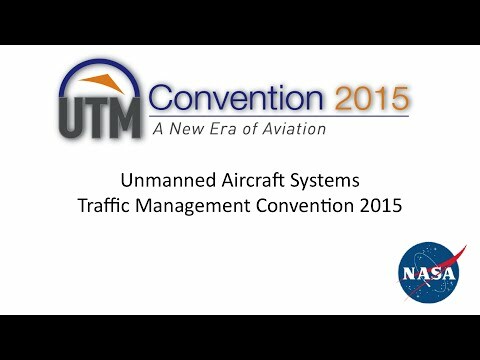 Mid-2015, we have yet to receive packages from drones. Just three days ago, on July 28th, policy makers, aviation experts, and academia congregated at NASA’s Ames Research Center in Moffett Field, California to discuss the future of the sky. This is really a call to action. We need to come together as an industry. – Gur Kimchi, Vice President of Amazon Prime Air. Ground – 200 ft: “local traffic”: drones to fly at slower speeds for purposes of shooting videos and taking pictures. This would also be the region where Amazon drones would fly in final stage of delivery as the drones near customer doorsteps. 200 ft – 400 ft: a drone highway whereby drones fly autonomously at rapid speeds and can communicate with each other. 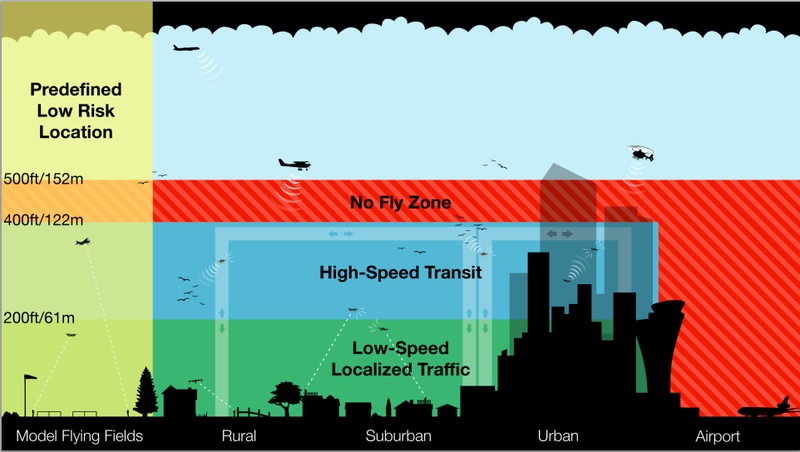 400 ft – 500 ft in air (+ nearby airports): no-fly zone. Amazon published this proposal in a white paper, a proposal far more robust than that drafted by the FAA this past February. In fact, Amazon’s proposal, if enacted, would alleviate many of the safety concerns that have previously been expressed. The ability for drones to communicate with each other is of utmost importance to the elimination of accidents: all drones flying at high speeds must understand where their counterparts are. Zero carbon emitted. Zero waste. Zero excess inventory. Zero customer complaints. Zero minutes wasted. The list endures. The question that remains is whether the key players – governments, customers, NASA, and researchers – will allow Amazon forward on its pursuit of zero delivery time. While decades-long product cycles have long been the norm in aviation, one crucial distinction with drones is that the underlying technology is already moving faster than the relevant laws. – Greenbiz. Regulation is necessary: liability exists as a colossal obstruction to the commercialization of drones. Yet, drones offer tremendous opportunity for savings in cost, energy, and time. The solution requires a meticulous infrastructure for the sky. ON ANOTHER NOTE, AMAZON WEB SERVICES. While Amazon has become renowned as a pioneer in online retailing, the company has also been quietly engaging in other lines of business. AWS, also known as Amazon Web Services, is a complex computing foundation that Amazon architected in order to help keep track of the company’s immense volume of online orders. Amazon has subsequently expanded this infrastructure to store data on the cloud for hundreds of thousands of other companies – including the CIA. In essence, Amazon is controlling a large part of the internet. Think of AWS as virtualization on steroids. Virtualization proved that the sharing of resources has massive potential to save energy, reduce costs, and augment efficiency. Before virtualization, there existed a widespread belief that all the computers in the world would use more energy than that which was available. Fortunately, many subsequent studies have revealed that virtualization can dramatically reduce data center electricity use. One such study in 2010 portrayed that electricity used by U.S. data centers increased 36% from 2005 – 2010, in contrast to doubling from 2000 – 2005. “If you go back in time 18 years, I was driving the packages to the post office myself, and we were very primitive.” – Jeff Bezos. 18 years later – whether it be through drones or cloud computing – Amazon continues to maintain its reputation as a low-cost provider. Interestingly, Amazon has not been amongst those companies publicly advocating the necessity of sustainability. Yet, because Amazon has resolutely focused on low-cost solutions, and energy is drastically expensive, ipso facto, Amazon has integrated sustainability into its business objectives. The world is a better place for it. We must not forget that the advent of technology makes this all possible. Ten years ago, the concept of a drone in any capacity other than military use would have been deemed incredulous, at best. Today it becomes a reality. Featured Photograph by Andy Simonds. I noticed that Amazon has now passed Wal-Mart as the most valuable retail company in the world – by market capitalization. Proof statement to your arguments that Amazon is not only a disruptive force, but the most insightful and successful. Indeed, Jeff. Not only has Amazon made huge strides in supply chain efficiency, product quality, and customer service, far surpassing Wal-Mart, I have to believe The Cool Factor plays a small role here as well. Amazon is cool, Wal-Mart less so. Do consumers miss the personal touch of a neighbor store or is the convenience of shopping from home enough? Hi Katrina, thanks for reading. Today, IMO, convenience is the name of the game, and while a small handful of consumers may miss the personal touch, and the long enjoyable shopping experiences, in our increasingly busy lives, efficiency prevails. Great post, TSI. Two things on the Drones: 1. It would be super-green if the electricity generated to power them is from renewable sources. Any info on that? 2. Have there been surveys done with the general public about how they’d feel to see drones buzzing around at relatively low altitudes? If so, what are the results? If not, how could they not ask that question?